Earn up to 37,592 reward points. Handmade combo that offers you 50s, 60s and 70s Lennon tone. The Imagine Series combines world-class tube amplifier engineering with luxurious cabinetry and craftsmanship, to accomplish the ultimate John Lennon experience. 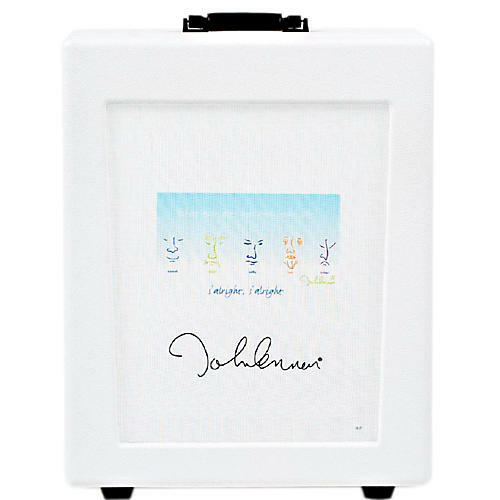 Adorned with pure white features and components throughout, the Imagine Series amplifier captures the essence of John Lennon and his vintage tones. The Decade Switch quickly transcends between his 50s Rock 'n Roll, 60s Liverpool and 70s Plastic Ono Band tones. Fargen's master wood craftsman builds each cabinet by hand, and Ben Fargen builds each circuit by hand to produce a strong, resonant amp full of tone and depth. Call or click to get this limited edition combo today.